Welcome to Day #3 of Chocolate, Honey and Almonds Theme Week. 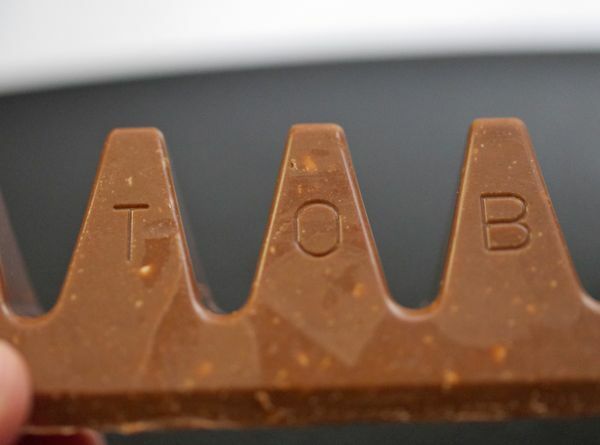 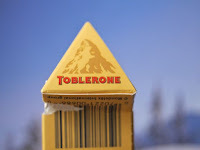 Toblerone of Switzerland bars have a unique triangular shape—reminiscent of Swiss mountain peaks. Today's Milk Chocolate with Toasted Crushed Corn and Honey and Almond Nougat bar—distributed by (Kraft Foods' snack division) Mondalez Global LLC (East Hanover, NJ)—was chock full of sweet, toasted corn crisps, almonds bits, sugar, honey, and a bit of vanilla. 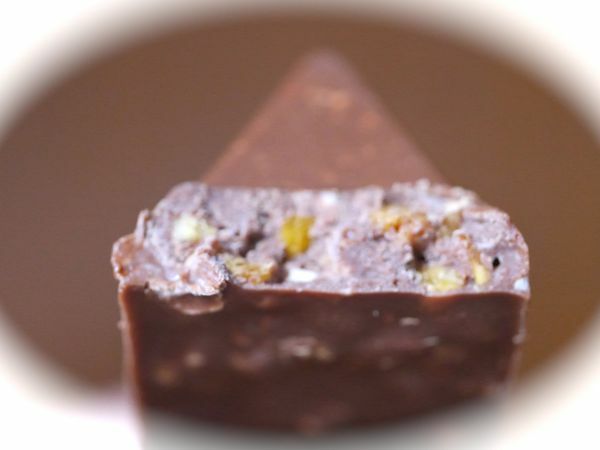 Egg whites helped bind and create a crunchy, nougat-like texture and flavor. 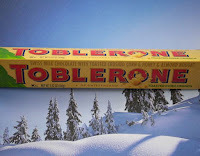 Looking at this bar made in Switzerland made me want to go trekking in the Swiss Alps. 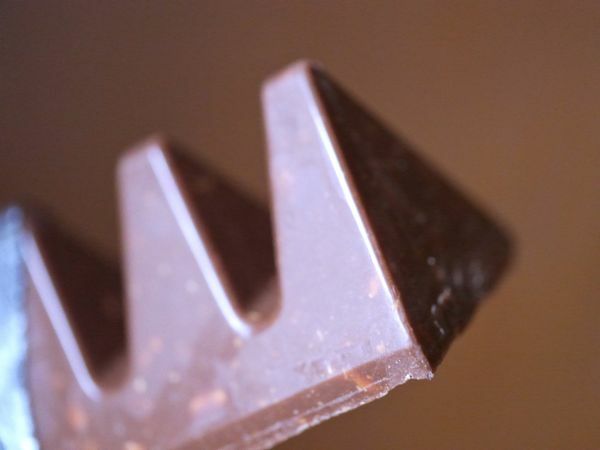 Until then...Eating an entire bar for breakfast fueled a walk around the neighborhood.